As LED technology ushers in a breadth of new features for commercial parking applications, taking the right approach to planning a successful energy efficient retrofit can become an impactful part of your larger sustainability goals. With the right design, a simple swap-out of fixtures stands out. Whether you decide to manage it in-house or bid it out, doing research is key to understanding the value of proper design and planning while weighing the options for implementation. The first step is setting the right goals for your parking structure lighting retrofit. Effectively addressing outdated, inefficient, low-light-quality fixtures is about more than just reducing your consumer energy use. 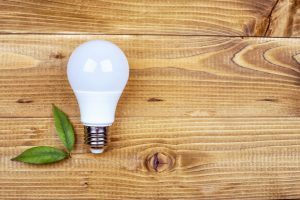 LED technology has advanced implications when it comes to maintenance, operations, and sustainability. Requiring a comprehensive photometric analysis in project design with LEDs will ensure that you reach quality, safety, and energy saving goals. There are a variety of different LED manufacturers on the market with technology built into that can integrate with controls applications. Evaluating how to use controls, such as where to place occupancy sensors or whether data capture through the Internet of Things (IoT) is important your organization, reveals that there is much to be gained from the variety of controls features. More often than not, rebates are available through many utilities. However, not all fixtures on the market are created equal in the eyes of the DesignLights Consortium (DLC). It is an industry standard that non-DLC-qualified products are not available for commercial rebates from utilities. Keeping all the facts straight is difficult, but doing the research internally or choosing the right lighting partner will be critical to achieving a successful energy efficient retrofit. With the onset of new lighting technology, parking structures are evolving into multi-faceted, sustainable centers for data collection, energy storage, or stormwater mitigation. An energy efficient lighting and controls retrofit is the first step to realizing these additional assets to your parking structure. Catherine Kendig is marketing manager with Aelux, a division of WESCO Distribution.